The Aroon is a trending indicator that’s long been used for momentum trading strategies. It’s especially good at locating places where a market is trending and when trends are weakening, strengthening or possibly turning. Unlike moving average systems which use real price changes, the Aroon uses the time differences of the last high and last low as its basis. This means the detector reacts when the price is consistently making new highs or new lows. This makes it a very useful system for momentum trading. There are two lines that make up the basic Aroon detector. By convention these are labelled up and down, but variations of the indicator use different labels. The first signal, Aroon up gets larger when the market has broken recent highs. The second signal, Aroon down, gets larger when the market has broken new recent lows. As stated above, because of the way Aroon works, it doesn’t respond to the size of price changes as such. It responds to the time differences between the recent highs and lows. What this means in practice is that Aroon up spikes up as soon as the market starts making higher highs faster than lower lows. Aroon down on the other hand spikes up as soon as the market starts making lower lows at a faster rate. Notice that both signals rise. This also means that both Aroon output lines oscillate between a maximum value of 100 and a minimum value of 0. There’s one main setting and that is the momentum period. The momentum period is the number of chart bars that the indicator back-checks when it makes the calculation. A short momentum period will make the indicator more responsive to small changes in price. It will respond faster to changes as they happen in the market but will be more susceptible to false trend changes. A long momentum period means that the indicator will only respond to more significant changes in trend. It will be less sensitive to false positives from noise but the negative side effect is that reaction time will be slower. The correct value of the momentum period will be governed by the trading strategy that’s used. The indicator has four significant values, 0, 30, 70 and 100. Aroon up at 100 means the market has just made a new high for the entire momentum period. Aroon down at 100 means the market has just made a new low for the entire period. Aroon up at 0 means the market has not made a new high since the start of the period. Aroon down at 0 means the market has not made a new low since the start of the period. Most traders mark off the levels 30 and 70 as especially significant. A value above 70 means the last high/low occurred in the most recent one third of the time period. A value below 30 means the high/low happened in the earliest one third of the period. When the up line is above 70 and the down below 30, this is a market with strong bullish momentum. When the down signal is above 70 and the up line below 30, this is treated as strong bearish momentum. Instead of looking at the up and down lines, some traders just look at the difference between the two. This is called the Aroon oscillator. The output of the oscillator moves between -100 and +100. The charts in Figures 1 and 3 show the oscillator in the lower window. The definition of the Aroon can seem a bit esoteric. So how do we actually go about using it in a real trading situation? The Aroon detector is designed to pick up on momentum. That means it reacts whenever the market is moving strongly in one direction or another. But, we can just as easily see this by looking directly at the price history on the chart. So how and when can it be useful to the trader? The chart in Figure 3 shows with an example. This displays the market phases for the currency pair AUDJPY. 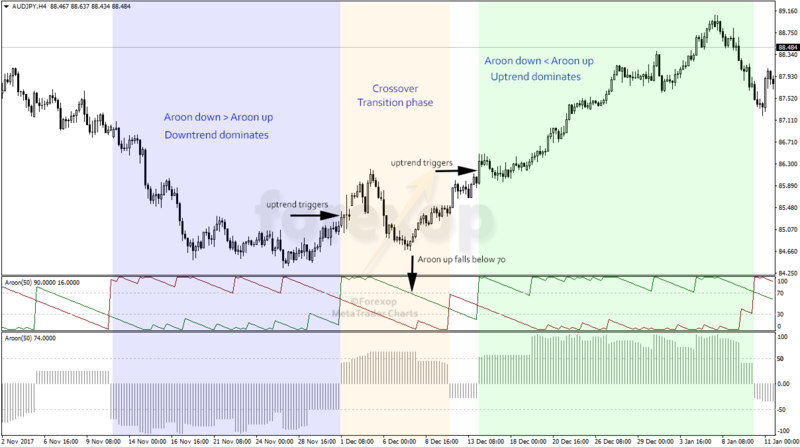 It shows a trend that turns from bearish to bullish and how the Aroon reacts to these phases. For this example, the momentum period was set to 50 bars. The blue section initially shows AUDJPY in a bearish trend. During this phase if you check the Aroon down, which is the red line, it doesn’t dip below the key 70 level. The Aroon up does not rise above the 30 level. This stays fairly constant throughout the bearish phase. Towards the end of the blue area we can see signs that the bear trend is losing strength. The market appears to be shifting direction and this is marked in the orange box. First the Aroon down falls beneath 70 for the first time. And this happens before the Aroon up begins to rise. We know from the definition that the dipping down line means the rate that the market is making lower lows must be slowing. There’s a crossover of the up/down lines as the price moves higher. This event is marked with the first arrow. But this looks like a transition phase because the Aroon up only remains above the key 70 level briefly. Following on there’s a weak bearish crossover but the bearish line doesn’t reach or remain above the significant level. The green box shows where the bullish trend becomes established. This is defined by the Aroon up line remaining clearly above 70, and the bearish, down line remaining below the significant 30 level. Then again, we could have simply looked at the oscillator line in the lower box. That tells us the difference between the up and down signals of the detector. On the oscillator line, any reading above +50 is strongly bullish and below -50 is strongly bearish. This version of Metatrader’s Aroon detector adds the momentum line. Aroon crossover tells us one thing; that the momentum of a trend is shifting. The most usual cause is when the market is in transition. Aroon crossover works much like moving average crossover. But one advantage with Aroon is that there isn’t any need to use two averaging filters. A second advantage is that the output always oscillates between 0 and 100. Having fixed values means we can easily see in which phase a market is likely to be in, bullish, bearish or flat/transition. I’ve been searching for a reliable trading strategy. There are hardly few who wins 4 times in a row. Aroon is solid. The combinations of last high and last low generate very practical data, and I think it is less complex as compared to other such tools. Like all other online traders, I don’t concentrate on Aroon’s formula, but prefer to use other tools too. 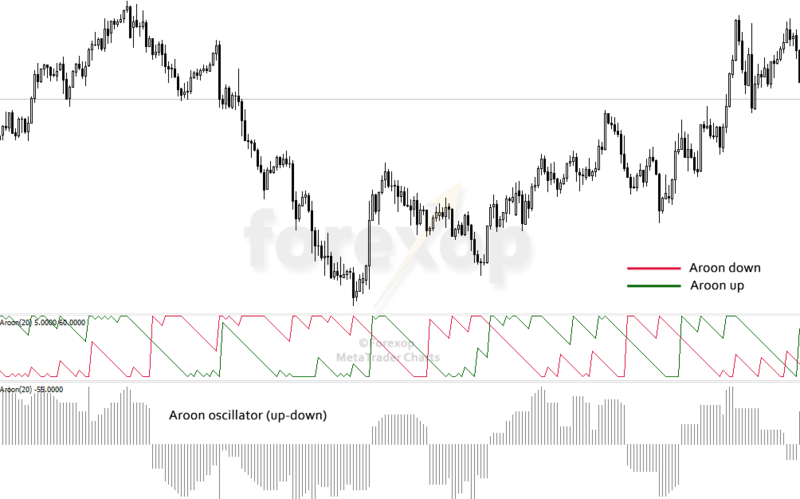 The Aroon Indicator sounds like a such a reliable system to use if you’re new to trading. 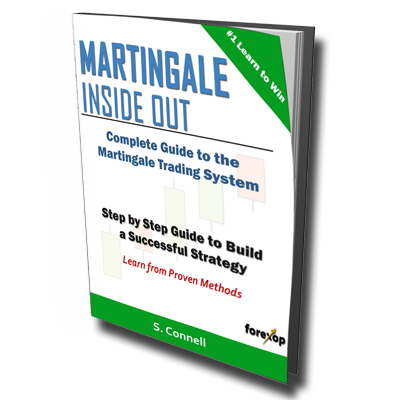 I think you pick up a lot of forex trading tips by using this system. Being able to easily discern bearish, bullish or flat tendencies is a great advantage for beginners.